Alameda, Calif., April 10, 2018 — Jitterbit, the API transformation company, today announced that its Harmony enterprise integration platform-as-a-service (iPaaS) now meets the new General Data Protection Regulation (GDPR) requirements going into effect May 25. Jitterbit’s Harmony platform surpasses the security requirements mandated by GDPR for protecting personal data, and fulfills new requirements for consent to share any data collected from its customers in the European Union (EU), as well as for customers to access and erase their data. More importantly, Jitterbit’s Harmony platform uses clear and easy-to-understand workflows to track the path of GDPR data, helping enterprise clients across the globe ensure that they maintain GDPR compliance as they connect systems and applications that store data from their own customers in the EU. GDPR mandates that organizations must follow strict rules for how they collect, share, and protect personal data of citizens of the European Union. The impact of this mandate reaches beyond the EU, because most global companies located outside of the EU collect or store data for EU citizen customers. Connecting customer data across multiple systems is crucial to orchestrate today’s best of breed applications and services, but this streamlined data-sharing and automation are complicated by new GDPR requirements. For example, if an EU citizen opts to delete personal data shared with a company through one application, that company must ensure that the data is also removed from all other integrated applications and systems that had access to it. Jitterbit’s enterprise iPaaS enables companies to track GDPR-sensitive data across multiple systems, by ensuring that personal data can be tracked and accounted for at all times. Because Jitterbit users can granularly select the specific records and types of data to exchange between different applications or services, and get a clear visualization of how data flows across the enterprise, Jitterbit makes it easier for companies to comply with some of the more complex GDPR requirements. Finally, Jitterbit has appointed Joost De Bot and Damon Pugh to serve as data privacy officers for the EU and US, respectively. These new roles will oversee Jitterbit’s company-wide and regional data storage policies and processes and respond to customers’ data requests and inquiries. With the GDPR compliance date of May 25 quickly approaching, many organizations are still formulating plans to address GDPR privacy regulations. With so many components to consider in so little time, Jitterbit will host a webinar Friday, April 20, at 11 a.m. CET/5 a.m. EST, to help organizations achieve and maintain compliance. 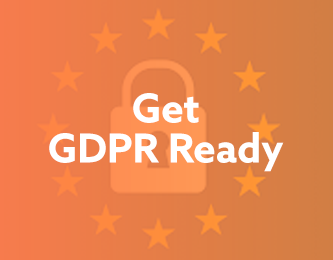 Jitterbit experts will highlight five key elements for a sustainable GDPR strategy and how Jitterbit’s enterprise iPaaS solution helps businesses achieve compliance. Please visit the Jitterbit website to watch the webinar. Jitterbit, the API transformation company, makes it quicker and easier for businesses to exploit data from any source, empowering them to rapidly innovate and make faster, more effective decisions. The Jitterbit API integration platform enables companies to quickly connect SaaS, on-premise, and cloud applications and instantly infuse intelligence into any business process. To learn more, visit www.jitterbit.com and follow @Jitterbit on Twitter.